2015 proved to be a pretty big year for advances in technology. Apple introduced the most anticipated gadget in wearable technology, the iWatch. More drones took to the skies. Apple Pay helped to increase adoption of mobile payment technology. And the most popular gift was the hoverboard (okay, so it's not exactly what "Back to the Future" promised us, but it's a step in the right direction). So what do we have to look forward to in 2016? Companies across the globe are making sure security fixes are on top of their to-do list this year. 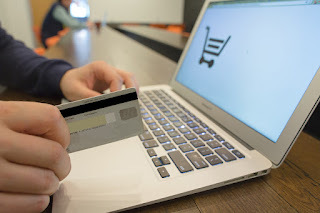 With 2015 being a year for many notable cyber-attacks (think: Ashley Madison, Primera Blue Cross, VTech, and Experian), companies will spare no expense to tighten online security and give consumers peace of mind that their information is safe. The day thousands have awaited so eagerly is nearly upon us. Virtual reality gaming is finally, well, a reality. With two VR devices scheduled to hit consumer shelves in 2016 (the Oculus Rift and the HTC Vive), the way we interact with content is going to change dramatically. Whether you are gearing up for battle in your favorite game or exploring the world from the comfort of your home, virtual reality is going to be HUGE. Mobile pay has made shopping a little more convenient for consumers all over. However, it is important to keep in mind that this technology is still in the first generation among the various platforms that offer it. And while not having to ever pull out your card may seem safer, security is still very juvenile in this stage. What does this mean for you? Use caution, or use your card for now, while providers beef up security during this next year. 3D printing technology has been around for quite some time, but due to the high cost of owning a printer, it hasn’t yet exploded in the consumer market. However, that is set to change in 2016. With the price of owning your own printer becoming more and more affordable, this may be the year for widespread adoption of 3D printing across business owners as well as consumers. It's not crazy to think that within a few years your house could be smarter than you. With applications moving towards automated systems that can run themselves, we will have a slew of new smart appliances that will run as efficiently as possible without your assistance. What trends are you looking forward to watching develop this year? Let us know in the comments below! If you liked this post, be sure to tell us about it. To keep track of future interesting posts like this one, subscribe to our newsletter. To find the best ink and toner cartridge deals, like us on Facebook or check out the best printer cartridge deals currently available.